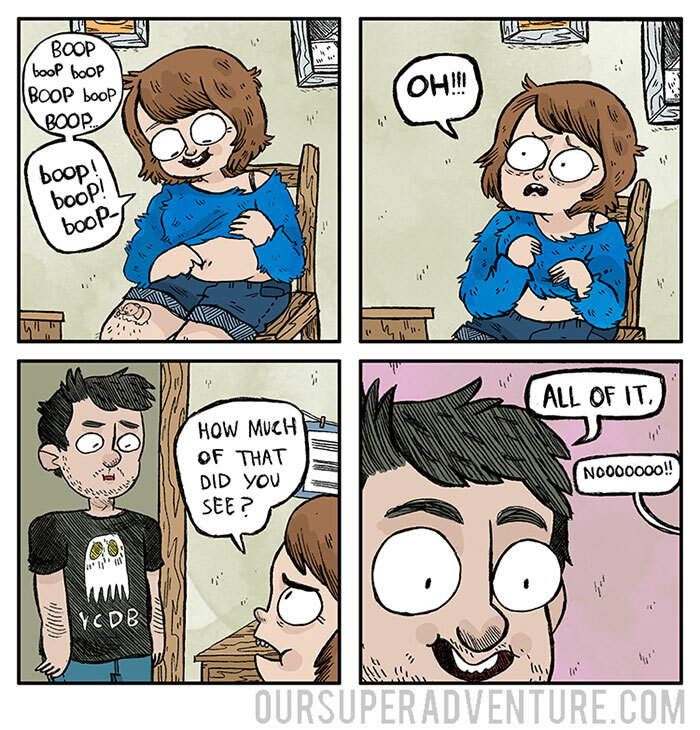 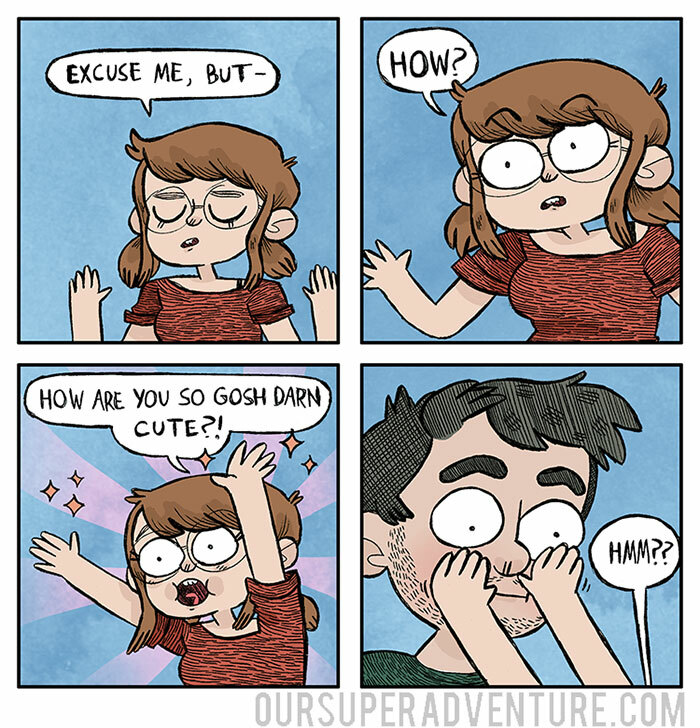 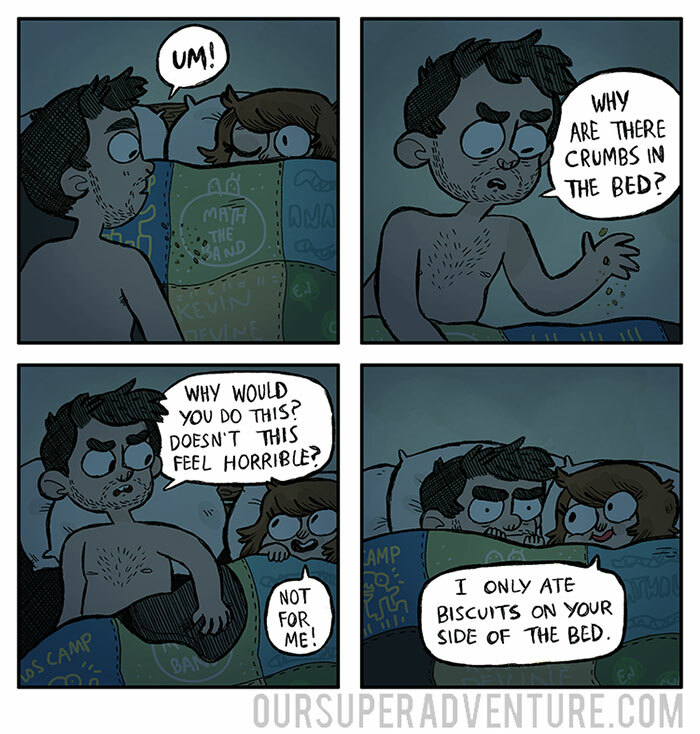 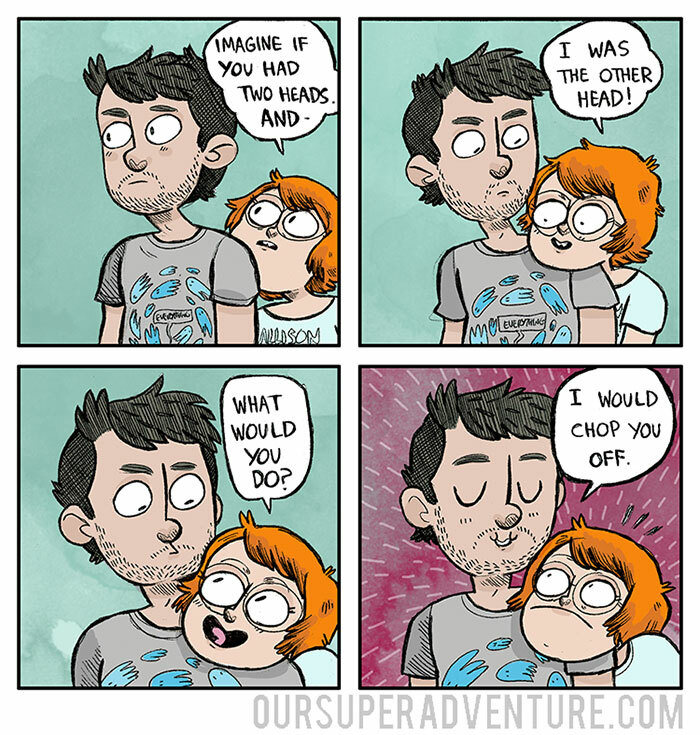 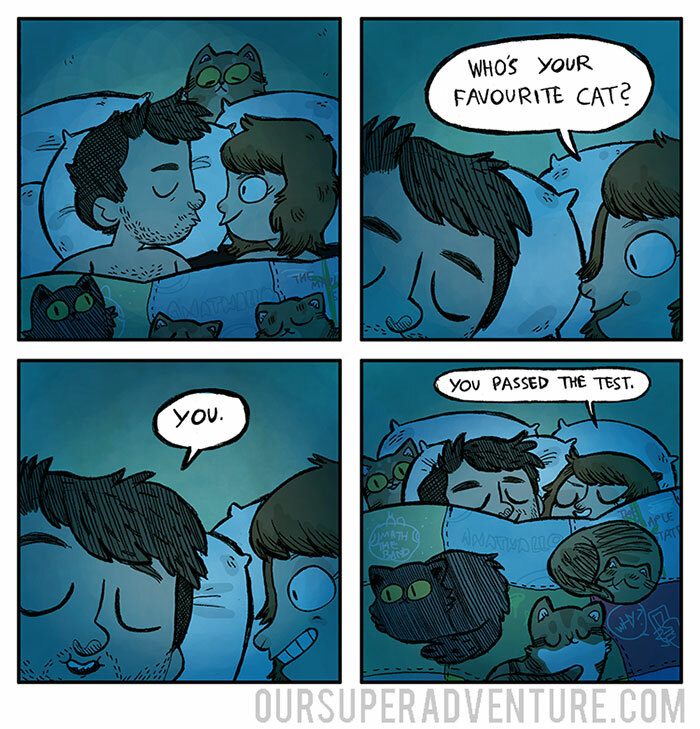 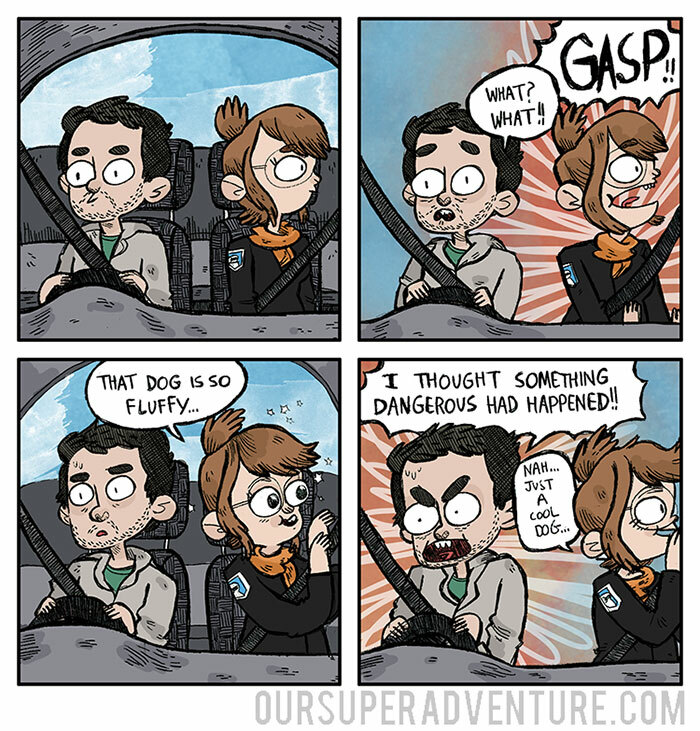 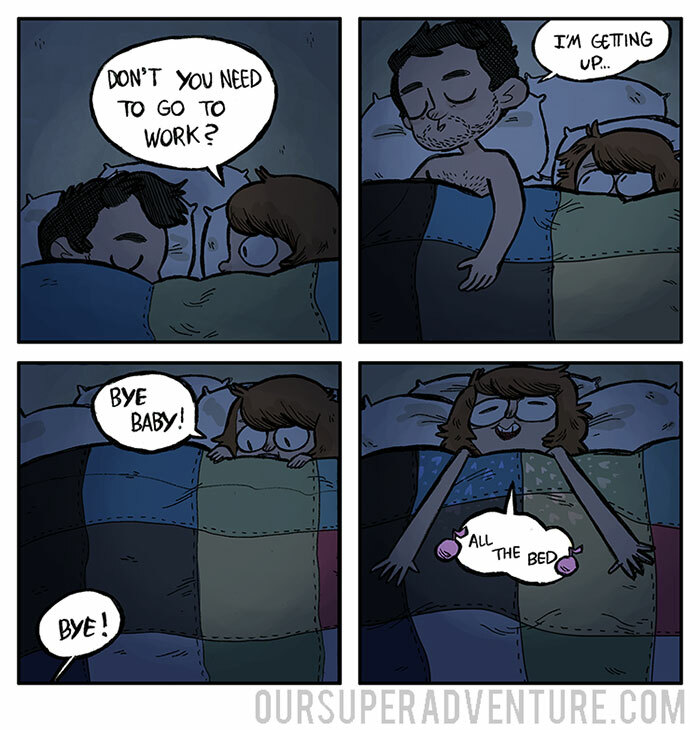 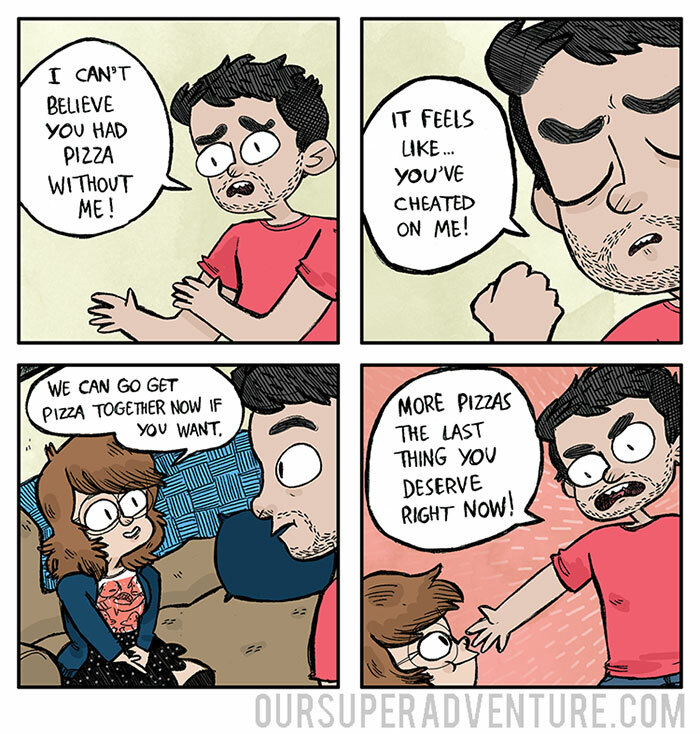 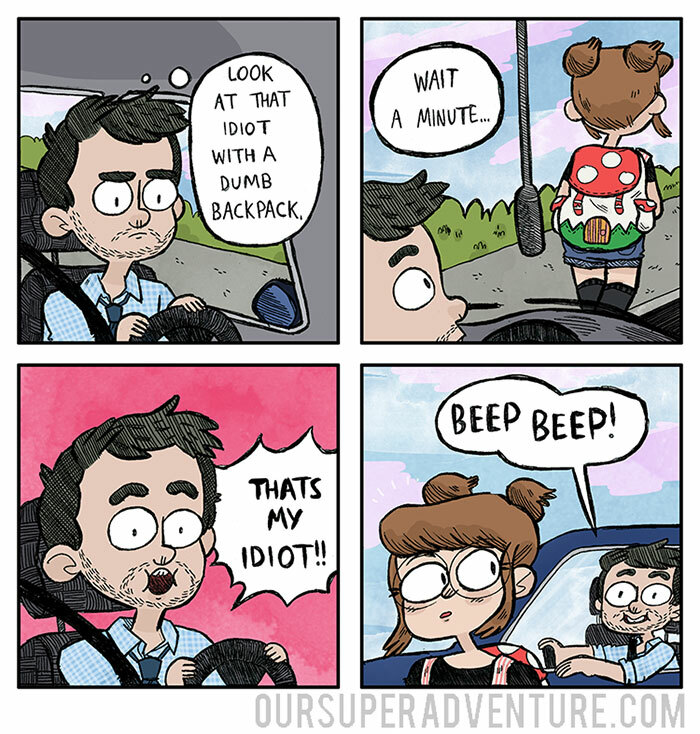 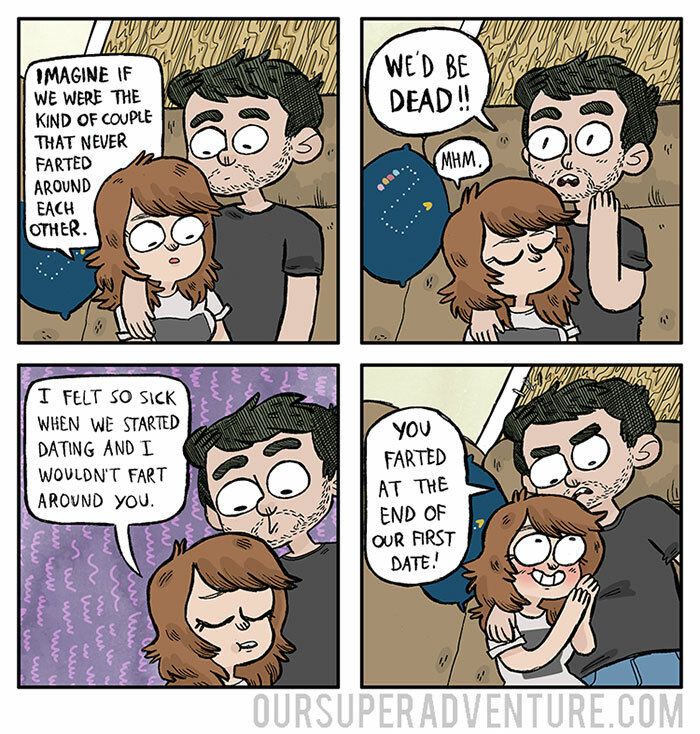 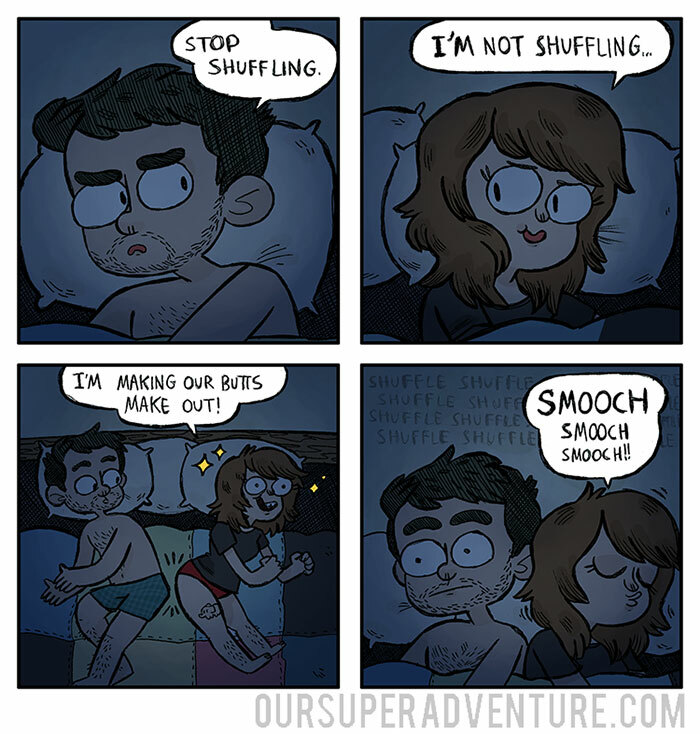 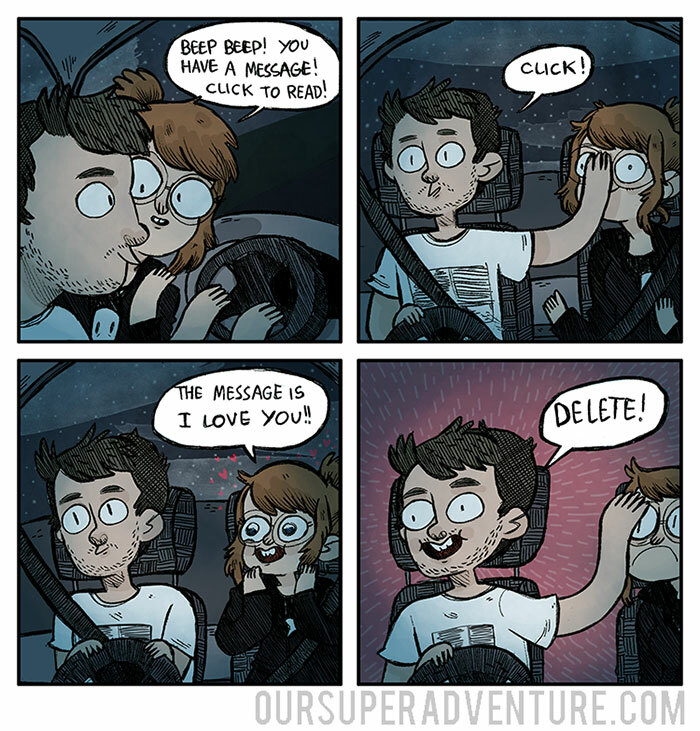 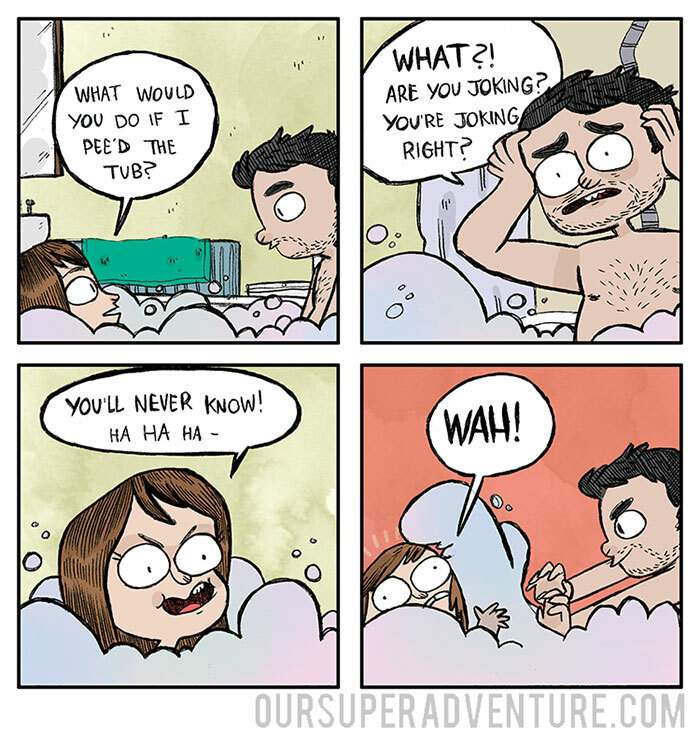 Sarah Graley, a British illustrator, depicts those funny daily moments of her life with 4 cats and her boyfriend called “one cat-like boy” in comics named Our Super Adventure. 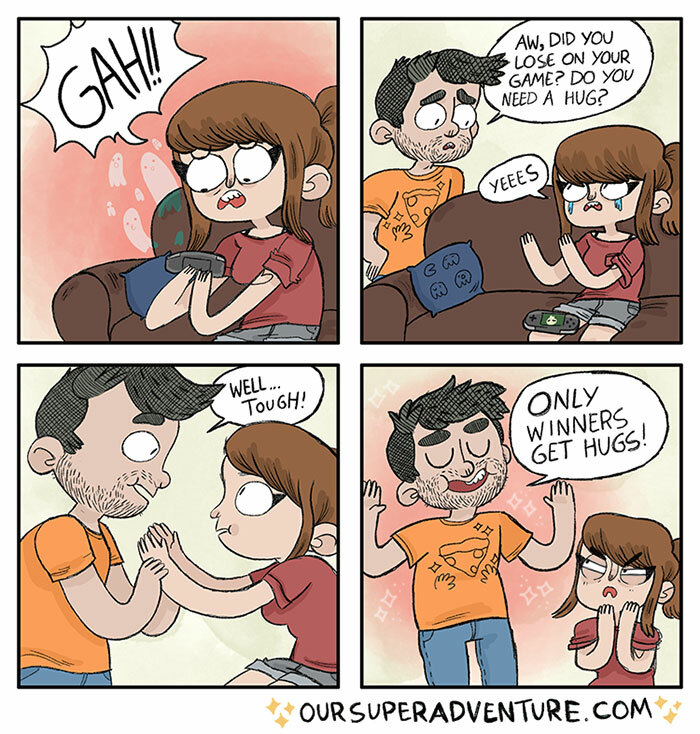 “Around 17, I was introduced to Scott Pilgrim and discovered Liz Prince, which were both big inspirations for me, I also find cartoons to be very inspiring. 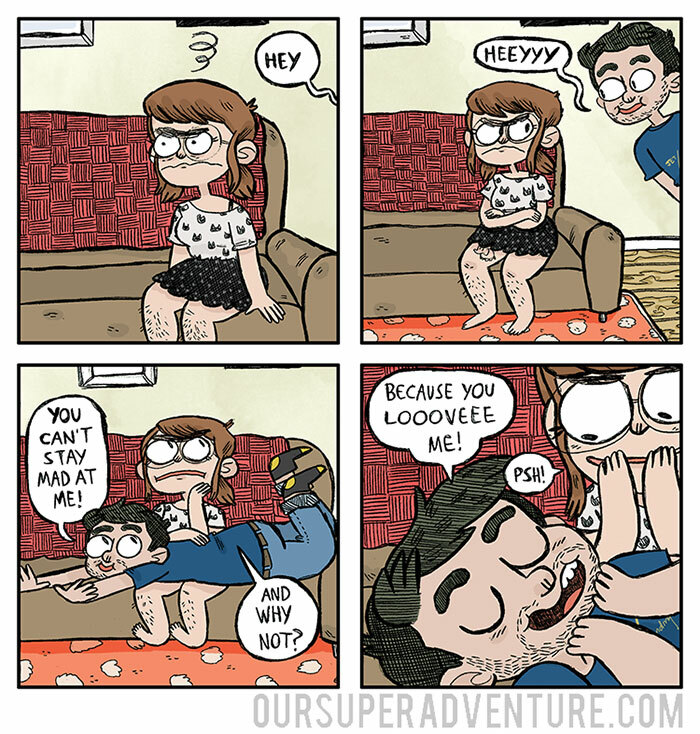 I am currently actively watching Rick and Morty, Gravity Falls, Clarence and Harvey Beaks.” Sarah said.